When it comes to home renovations, budgeting is essential. Redoing the bathroom or opting to add a swimming pool doesn’t just happen on a whim (for most of us, anyway), yet planning and saving and then, finally, implementing stylish changes in your home does form part of the fun of playing grown up. But every so often, we do want to incorporate some striking changes in a room without saving for months on end – and today’s article is about doing just that. We are going to show you how to stretch your renovation budget by implementing a few creative, money-saving updates in your kitchen. These may be small, but we guarantee they are noticeable – and pocket friendly! 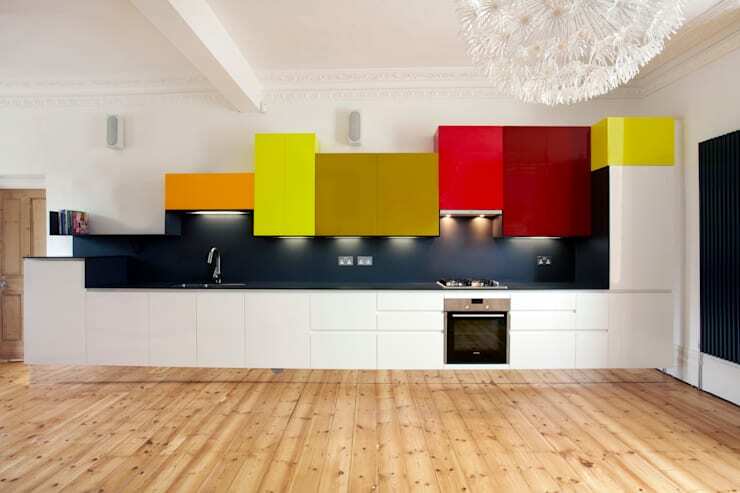 Add some cheer to your kitchen with colourful wall art. Yes, we know the kitchen is generally regarded as a work space, but a touch off style on the walls will transform it into a cosy gathering space. So, hang some cheerful prints on the walls (framed art or decals), or display a few colourful items on floating shelves – just be sure to stop before you reach the cluttered look. Relax, as we show you how to: Turn chaos into a cooking-friendly kitchen. Add some personality and style in a flash by laying down a new rug. You already know that a new rug will add some warmth and comfort underfoot, as well as a touch of hominess to your hard-working kitchen. 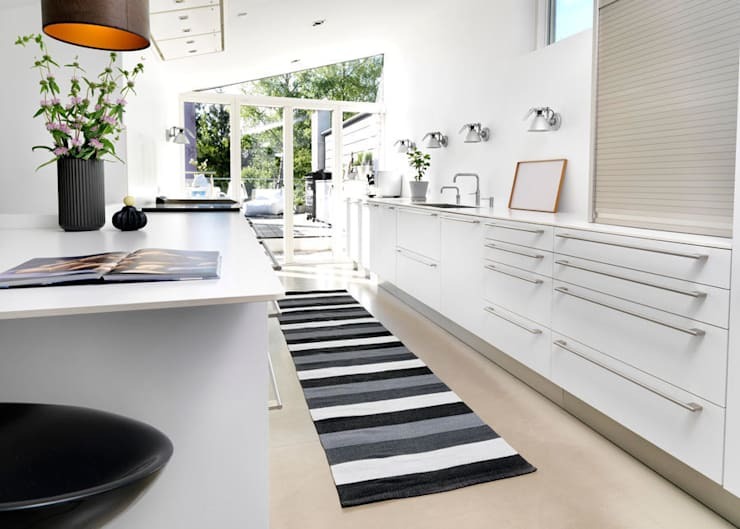 homify hint: Add a rug to the area where you tend to do a lot of standing, like in front of the island, sink, or stove. And remember to place a slip-prevention mat underneath that new rug for added safety. Enhance those cabinets with some fresh new hardware. 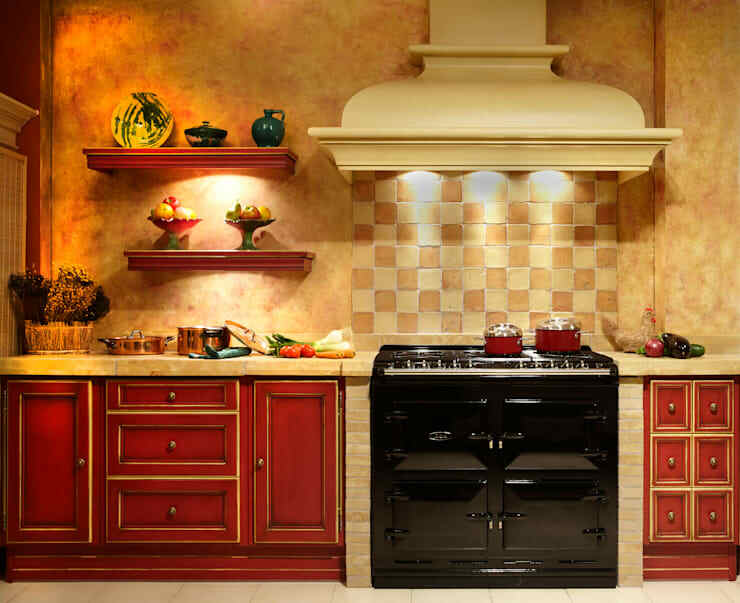 A trip to your local hardware store is all that is needed to scope out the varieties of styles, finishes, and shapes that can complement your kitchen’s look. Just be sure that your new choices’ sizes are compatible with your relevant cupboards. If you have a few hours to spare during your busy weekend, roll up those sleeves and add a fresh coat of paint to that kitchen. This is absolutely one of the easiest ways to introduce some style into a room, and with the never-ending colour choices available, those walls or cabinets (or both) can look brand new after you’re done with them. 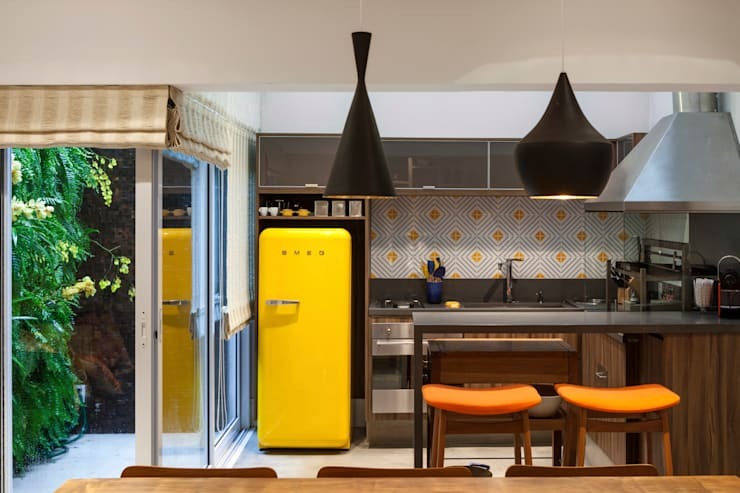 You don’t need to break the bank to bring in some pattern and colour to your culinary space. From new seating cushions to brand new curtains, fabrics can work wonders, and can instantly combine (or contrast, which can also be a great thing) with your kitchen’s current palette. Put that vacant wall space to good use by adding some shallow shelves that can showcase your elegant dishware or fabulous stemware. 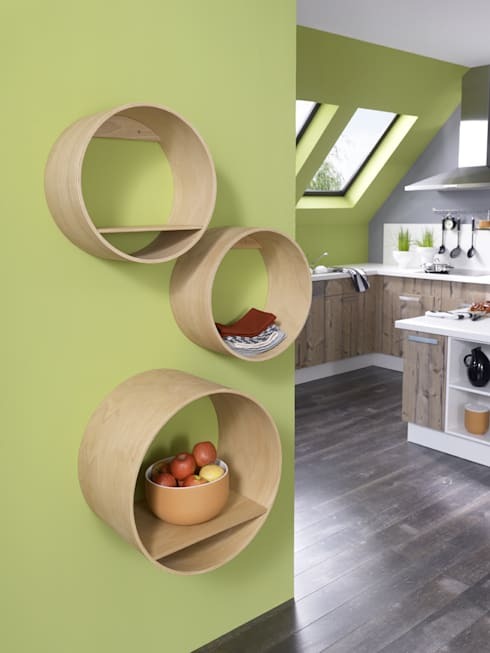 Floating shelves instantly add a contemporary look to any room. 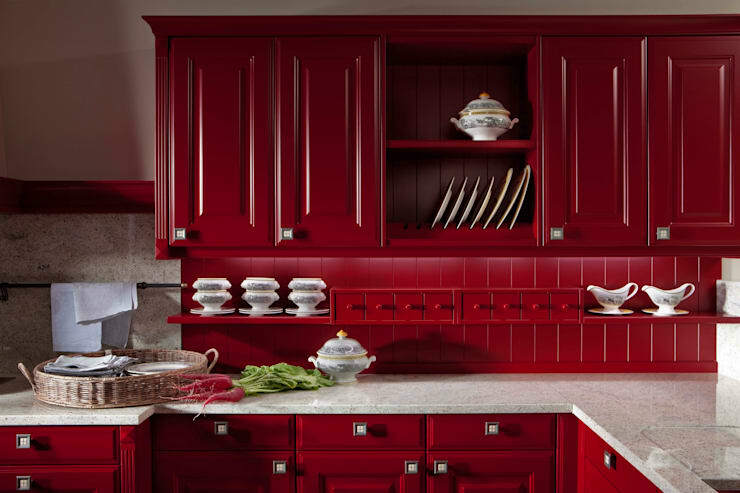 Yet, if your kitchen’s style is more traditional than modern, opt for shelves with decorative brackets to match with your current cabinetry. If dampness is an issue with that area behind the sink, then forget the paint and wallpaper – opt for a tiled backsplash instead. Tiling a backsplash is one of the easiest DIY projects, especially with tiny ones that come pre-attached to sheets of mesh, which don’t require the use of a tile saw. Therefore, put on some music and pour a glass of wine to accompany you on your quest for a striking backsplash. Since the kitchen is a multi-functional zone, multi-purpose lighting is required. 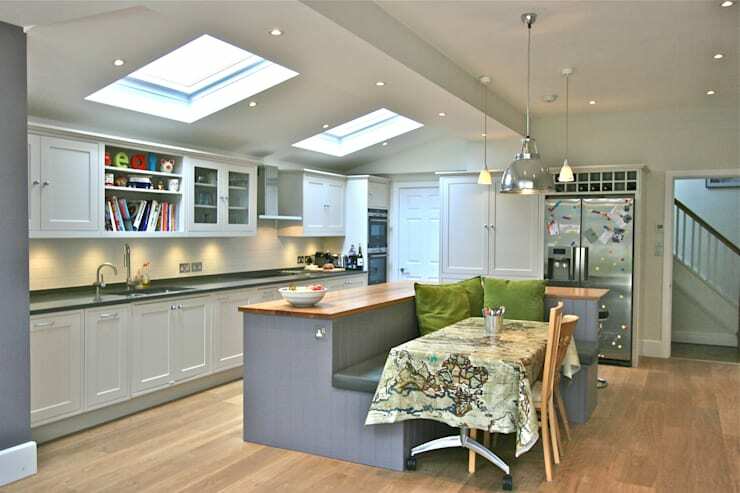 Ideally, there should be task lighting over the worktops, halogen bulbs on your extractor, and overhead lighting with ambient illumination in the dining area. Or the simple addition of a new table / floor lamp can also make for a stunning change. Just remember to dial up a qualified electrician to help you with a tricky lighting project. What other pocket-friendly changes can you think of for the kitchen? Share with us!